The paper studies an iterative method for algebraic problems arising in numerical simulation of blood flows. Here we focus on a numerical solver for the fluid part of otherwise coupled fluid-structure system of equations which models the hemodynamics in vessels. Application of the finite element method and semi-implicit time discretization leads to the discrete Oseen problem at every time step of the simulation. The problem challenges numerical methods by anisotropic geometry, open boundary conditions, small time steps and transient flow regimes. 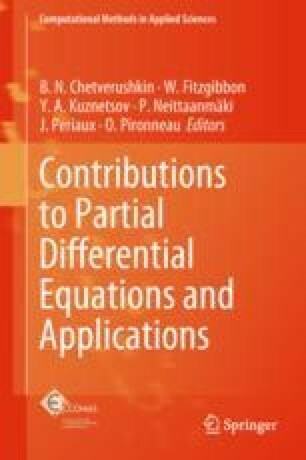 We review known theoretical results and study the performance of recently proposed preconditioners based on two-parameter threshold ILU factorization of non-symmetric saddle point problems. The preconditioner is applied to the linearized Navier–Stokes equations discretized by the stabilized Petrov–Galerkin finite element (FE) method. Careful consideration is given to the dependence of the solver on the stabilization parameters of the FE method. We model the blood flow in the digitally reconstructed right coronary artery under realistic physiological regimes. The paper discusses what is special in such flows for the iterative algebraic solvers, and shows how the two-parameter ILU preconditioner is able to meet these specifics. The experimental part of this work has been supported by the Russian Science Foundation through the grant 14-31-00024. The theoretical part (the contribution of the second author) was partially supported by NSF grant DMS1522252.